We are only a few days away from Valentine's Day, and 'tis the season for writing love letters and secret messages! 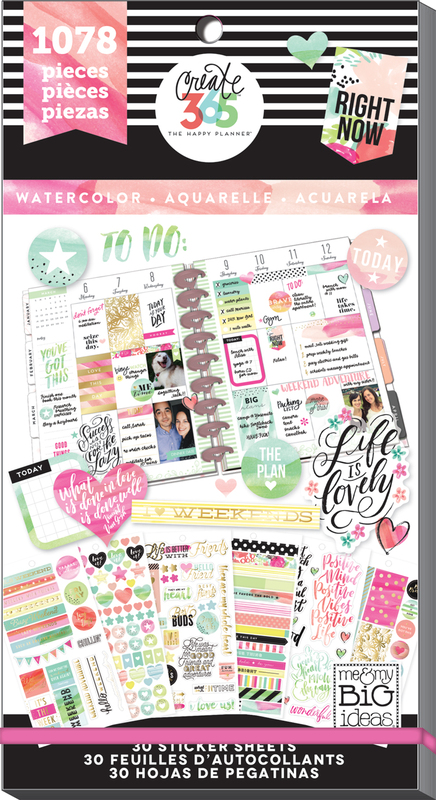 With that in mind, we are sharing three fun DIY paper crafts by mambi Design Team member Mariel Reyes (IG | blog) that she created on her BIG Happy Planner® pages to hide bits of journalling she'd rather keep semi-private. 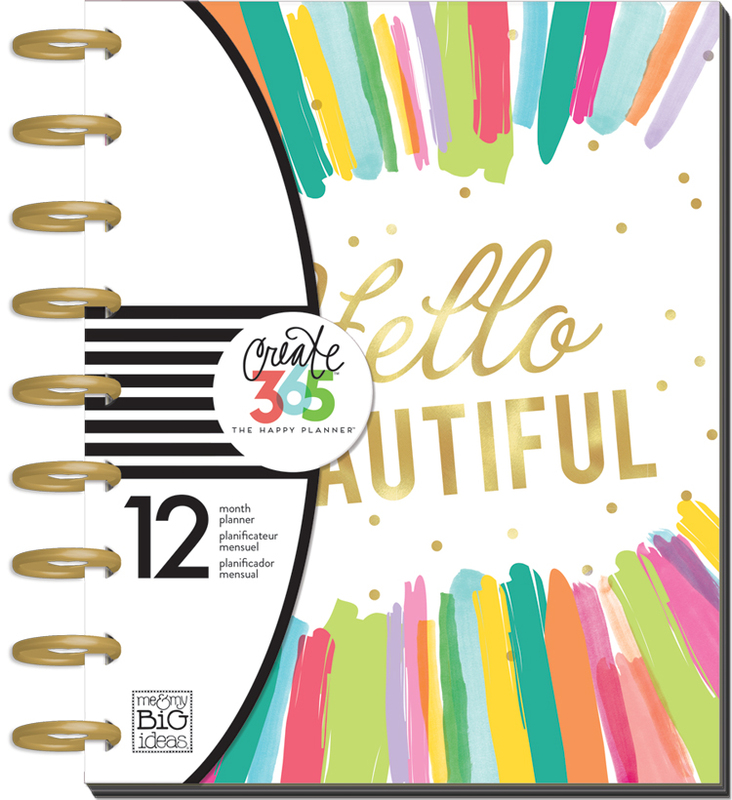 "I love writing in my memory planner, but some things are private and I would like to have special messages that maybe I don’t want everyone to see when flipping through. Other times I want a design element and not a bunch of words in a square. This is what I love about hidden journaling! The words are on the page, but may not be the first thing you see. 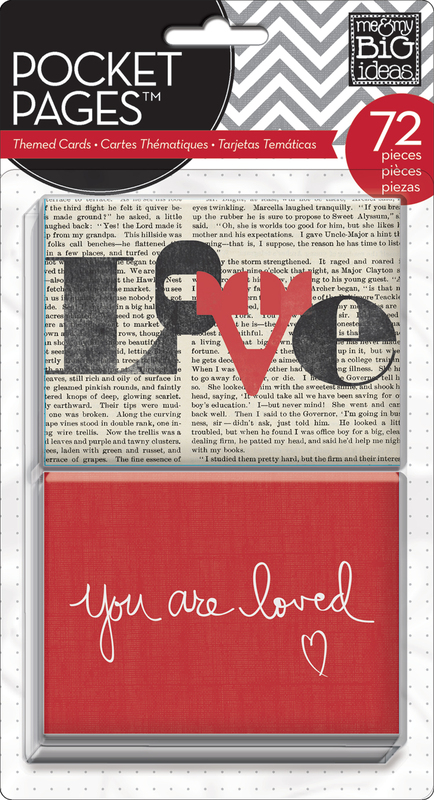 For Valentine’s day I created three different types of hidden journaling for my memory planner." "The first is card style. I chose a rectangular sticker, but any sticker would work. I made a little folded card that fit in the column of my planner and affixed the sticker on top. I can write inside and when closed, it just looks like a sticker on the page." "The next one I created was a heart with two sections for journaling. First I cut out two identical hearts just like we did in elementary school by folding red paper in half. Leaving the hearts folded I matched them up and added washi to the back so that the two folded hearts created one heart. I glued that to my page, creating a heart with two lobes that open so I can write a note to each kiddo. I put stickers on top to decorate the heart even more. When closed it looks like a decoration on the page!" "The third one I created using a full box sticker. I shoes one from the rainbow pack that matched the theme. I cut some card stock ¼ inch shorter than the sticker on bottom and sides and affixed it to the sticker. By sticking this on a section in the planner it creates a pocket. I then cut a piece of paper to fit and decorated it with stickers on the top so I can pull out the hidden journaling." Shop some supplies Mariel used by clicking on the items below. 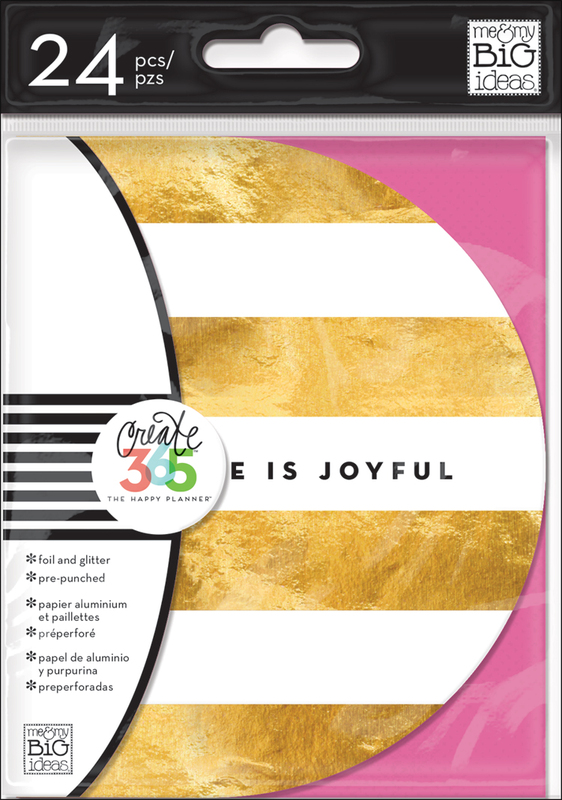 Doilies, deco pens, and full-on decorative fun! 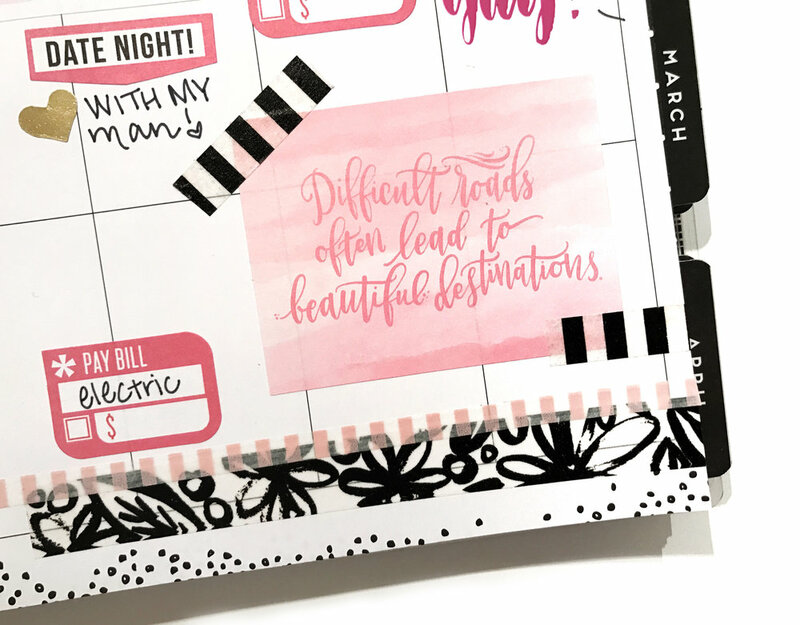 Today we're sharing how mambi Design Team members Stephanie Howell (IG | blog) and Mary-Ann Maldonado (IG | blog) created February weekly spreads in their CLASSIC Happy Planners® using all their favorite embellishments! "I have five girls, so let's just say I'm a fan of red and pink, hearts and bows, flowers and doilies. I love! 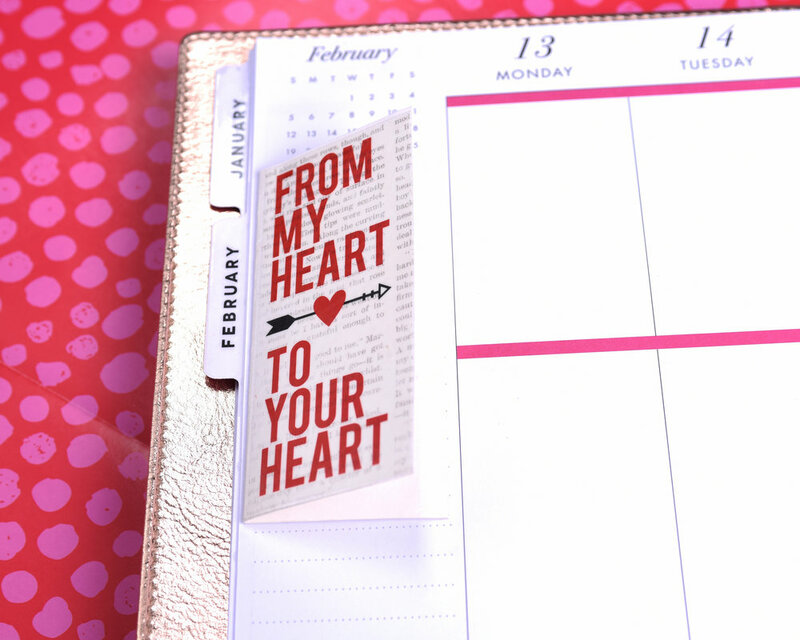 So of course I have to celebrate LOVE in my Happy Planner for Valentine's week. I grabbed my trusty doilies, my Happy Planner® washi tape, and 'Watercolor' sticker value book. I love layering to add a bit more dimension. I basically just grabbed the stickers I saw that were 'romantic' and had to to with love. 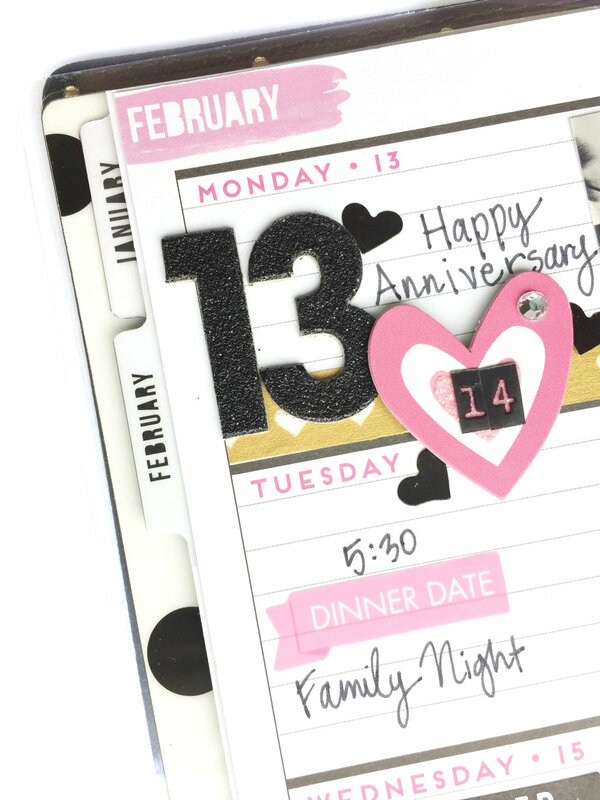 I even punched a hole in a doily using my Happy Planner® punch! This adds a fun little detail to my weekly spread. The last touch was a washi banner with a doily topper!" "My favorite sticker on the spread is 'Adulting is Hard.' ...because yes it is! There is so much to do in February - so many birthdays, Valentine's Day, a birthday party for my boy and a trip for his dad. Good thing a fun color palette makes all the 'busy' a little less daunting. It is so close to Feb 14th that I had to start bringing in the reds! I glanced though all of my sticker value packs, and I tagged all the red goodness. I paired it with black, with a touch of gold. The black & white striped heart sticky notes and the red sticky notes with pink polka dots were used here to coordinate, andI combined them all like they were together in a sticker pack. When I was done adding beautiful stickers, I added a touch of Deco Pens throughout the spread. I bet you can create a spread with just the Deco Pens. They are so fun." Shop some supplies Stephanie and Mary-Ann used by clicking on the items below. 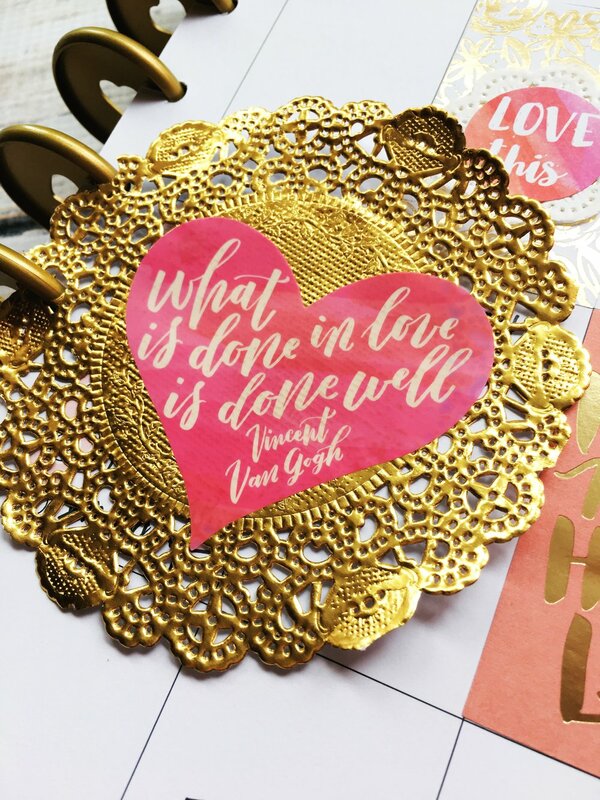 We're one week away from Valentine's Day, and we are seeing gorgeous themed spreads in preparation for it all over the place! Today we're sharing two weekly layouts by mambi Design Team members Jen Randall (IG | blog) and Erica Canant (IG | blog) in which black, pink, and gold was their romantic color combo of choice! 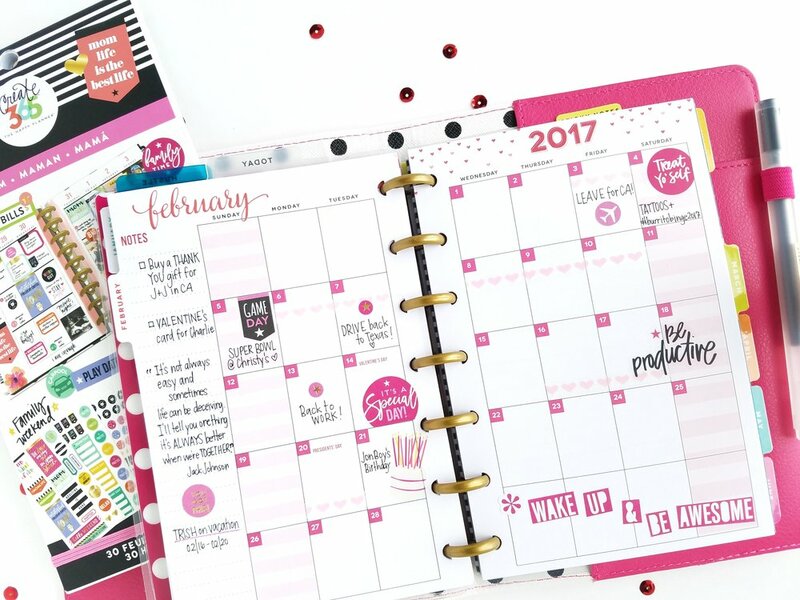 "I was really inspired by the beautiful pink watercolor that graces the pages of February in the 'Happy Blooms' MINI Happy Planner™. 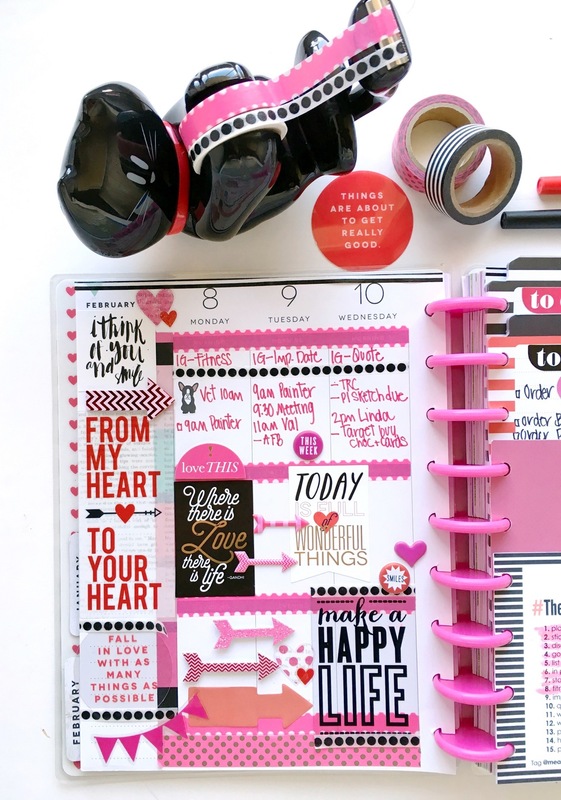 I recently found these adorable mambi heart stickers and I thought they would work really well for this month and add some dimension to my page. With an Anniversary and Valentine's in the same week...LOVE is definitely a theme I could easily work with. Using some fun washi tape & several of the sticker value packs, this week came together very easily. I love adding pictures too. Just a few pictures to add a bit of character." "When I sit down to plan out my week like this one, I find that choosing a color palette to work with helps my work flow. I can look through my stash with specific color choices in mind and pull certain items that I feel will work. Then when I go to plan the week, I can easily grab items to use. I am not overwhelmed by ALL my stuff. This week I know I wanted stickers & accessories that were pink, black and gold. I was able to complete the page quickly & enjoy the process." "Black and pink are quickly becoming one of my favorite color pairings! 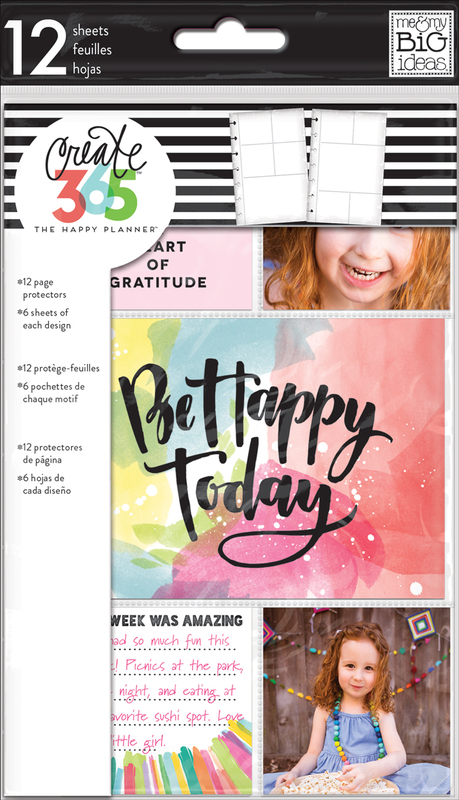 I noticed that when I use these two colors together in The Happy Planner®, my pages pop more! 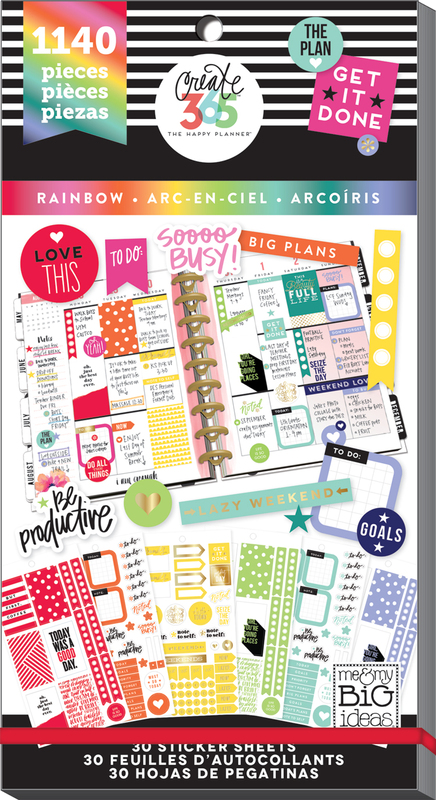 This kind of pop is just what I need to give my functional personal planner a bit more pizzazz. 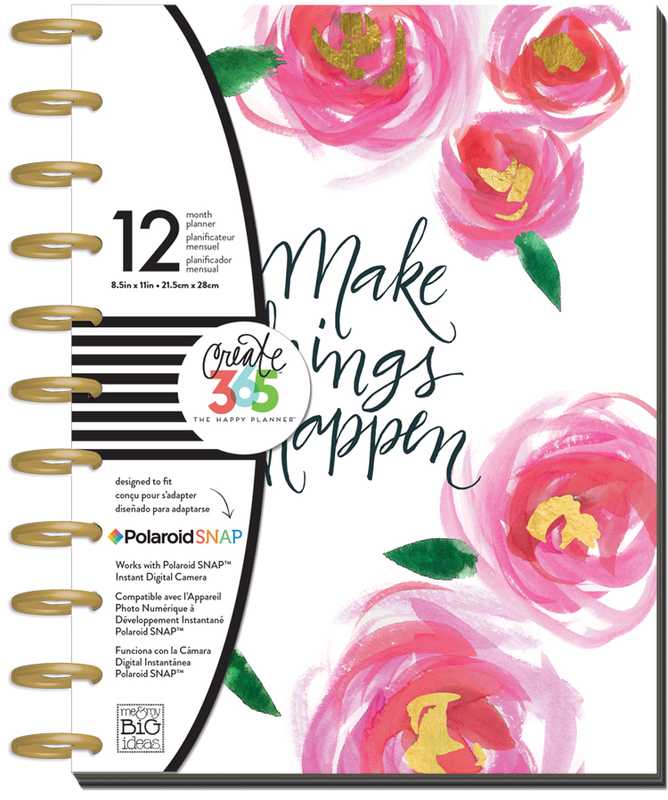 Being a wife, momma to three, and working lady, I really need to be able to use my planner in both a functional manner and as a creative outlet. 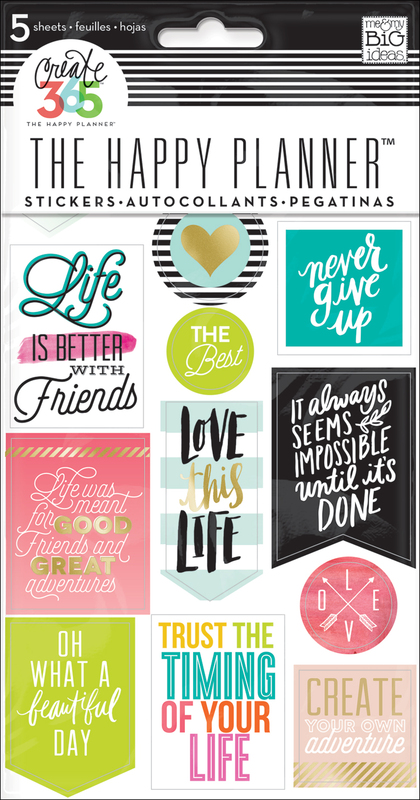 Pairing the 'Quotes' and 'Mom' sticker value packs together in this spread gave me that perfect balance!" 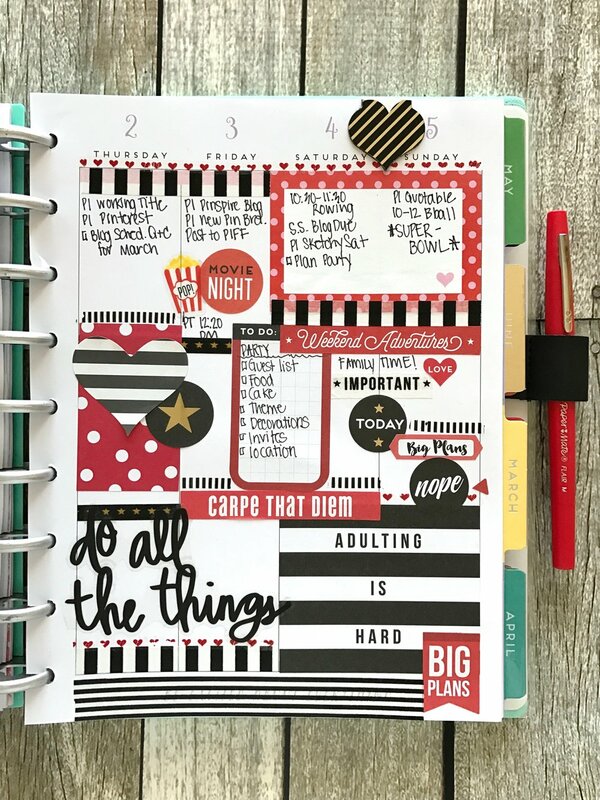 "I also used my mini POCKET PAGES™ for this spread because I love how you are able to still see the dates and other areas around it. I incorporated a black and pink theme on these as well, giving me some extra motivation and encouragement for my first full week back at work after maternity leave!" "My favorite thing about this spread, other than the color scheme, has got to be the two quote stickers on the bottom corners that read 'You Can Do Anything, But You Can Not Do Everything' and 'Difficult Roads Often Lead to Beautiful Destinations'. Honestly, being a working momma with three littles has been no walk in the park, but it is SO WORTH IT. 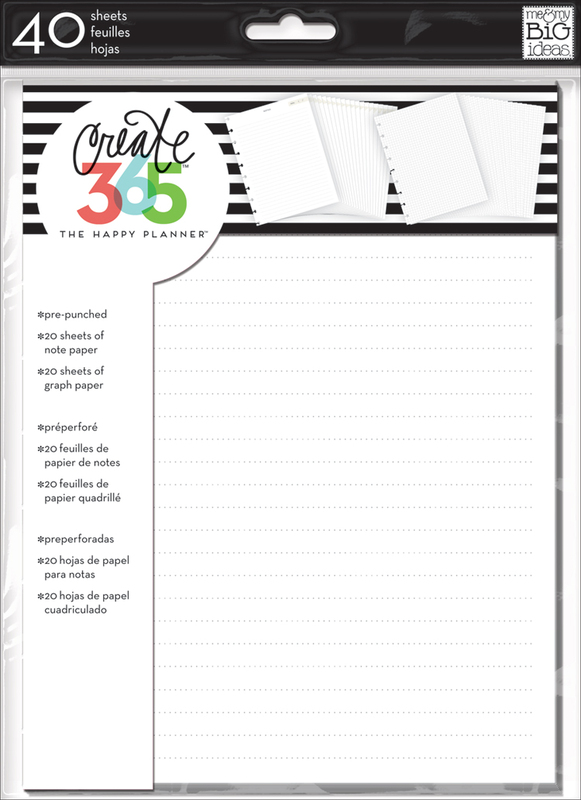 The Happy Planner® has been the greatest tool in helping me to stay organized, creative, and focused on the goals and passions I have during this crazy season of life. I love getting to be functional on my weekly spreads with planning meals and marking appointments, and I love getting to be creative with stickers, washi, and hand lettering. It's truly the best of both worlds!" Shop supplies Jen & Erica used by clicking on the items below. Who says lists can't be pretty? We here at me & my BIG ideas certainly never have! 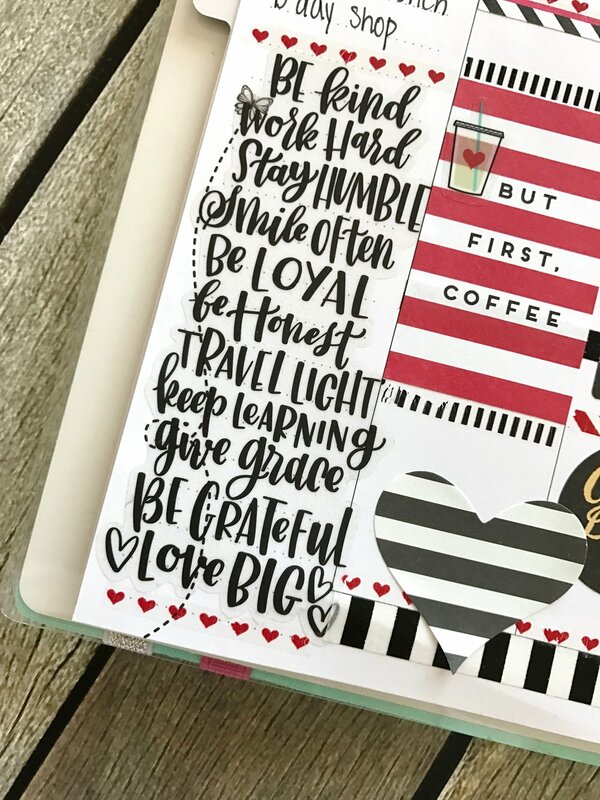 Stick a few floral stickers, add bits of washi to the edge, use watercolor heart stickers as bullet points, and WAH LAH: your list is pretty, but still gettin' the job done! That's what mambi Design Team member Katie Barton (IG | blog) did with her bucket list of dates nights! "My husband and I love trying new restaurants. It's our go-to date night activity, but lately we've been going to the same restaurants over and over because we can't ever decide where to go. 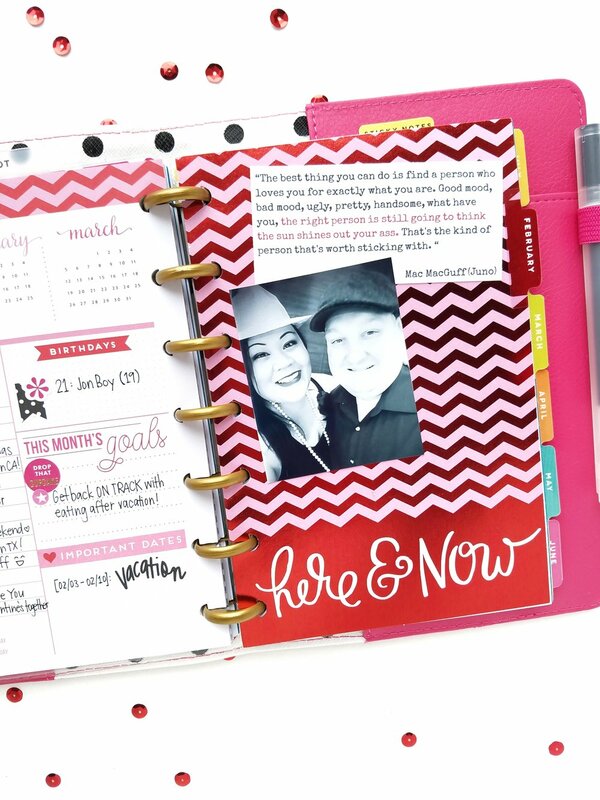 With Valentine's Day coming up, I was inspired to update my planner with a 'Date Night Bucket List' to help us get past our indecisiveness." "I used stickers and washi to set up a note page for listing restaurants as friends recommended them to us. I added a few places we've heard about recently, but I intentionally left space for the list to grow. I also wanted to leave a little room for notes about each space, because often restaurant recommendations come with tips about a dish to try, a day of the week to go for live music, or happy hour times. When it's time for date night, we can flip to the page and pick something for the list. I think having just a few restaurants to choose from will make our decision process easier than picking from all the restaurants in town. Plus, we'll know that everything on the list is loved by someone we know, so there's a good chance we'll love it, too!" Shop supplies Katie used by clicking on the items below. Who doesn't absolutely LOVE Valentine's Day?! 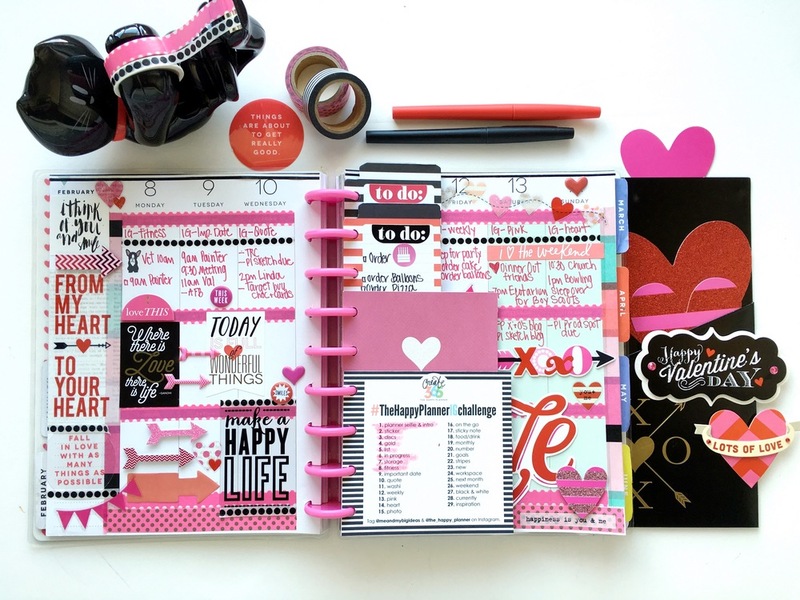 For mambi Design Team member Liz Nielson (IG | blog), the weeks leading up to Valentine's Day are the few that she readily chooses pink as a color theme and goes ALL out. 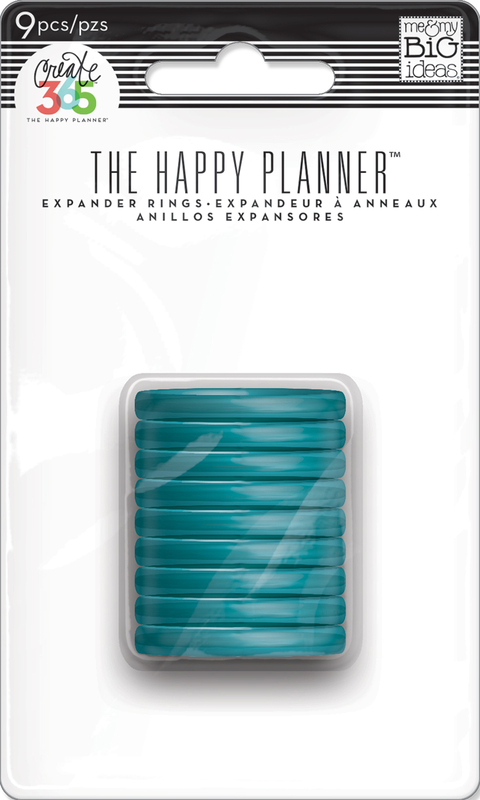 Last year, she had made a shaker for her CLASSIC size Happy Planner® that she loved, and knew with the addition of the MINI Happy Planner® Page Protectors that another one was in order this year! Using the MINI page protector that had the 3x4 in the middle, I filled the outer four pockets with my own mixture of rose gold chunky glitter, pink iridescent sequins, and a few heart shaped sequins. Making sure I had given the fuse tool around 10-15 minutes to heat up, I then ran the tool across the top of all four 2x2 squares to make sure all of the squares sealed up." "Then using two Pocket Pages™ cards from the 'You are Loved' pack, I glued them back-to-back and added the rose gold heart circle sticker to the card that's on the backside. To make the ruffle embellishment (optional), I used a short piece of fusible ribbon and attached it using my fuse tool. Lastly, I glued a piece of pink ribbon that was slightly longer than the ruffles and topped it with a glittery, red heart from a pack of soft spoken™ stickers. 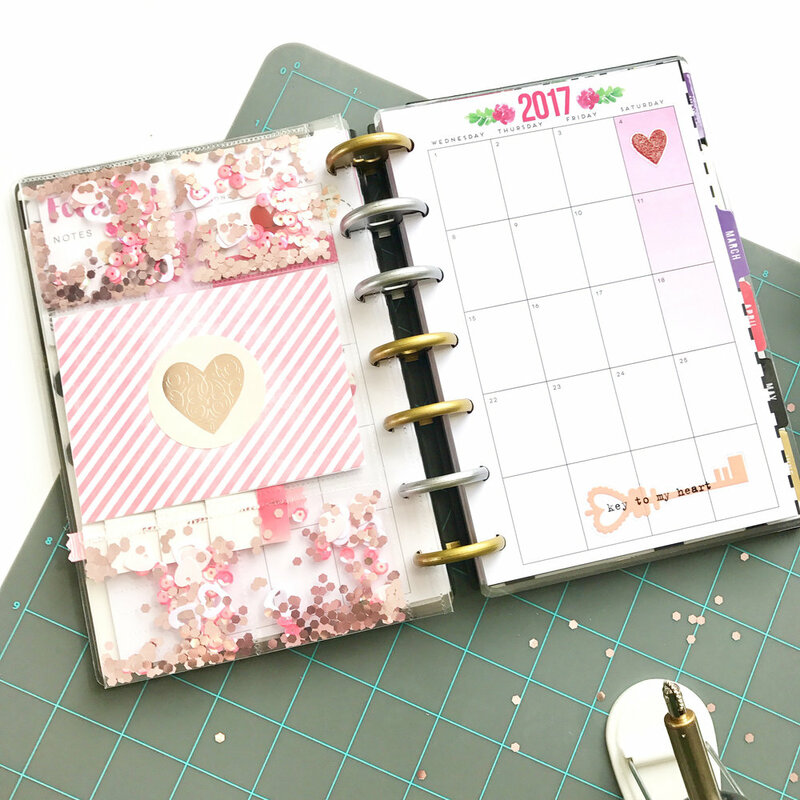 I plan on leaving this shimmery shaker pocket page in the middle of the February monthly spread in my 'Happy Blooms' MINI Happy Planner®, so I added a few coordinating mambiSTICKS™ stickers to the pages of the month. Have fun & enjoy!" Shake it up! 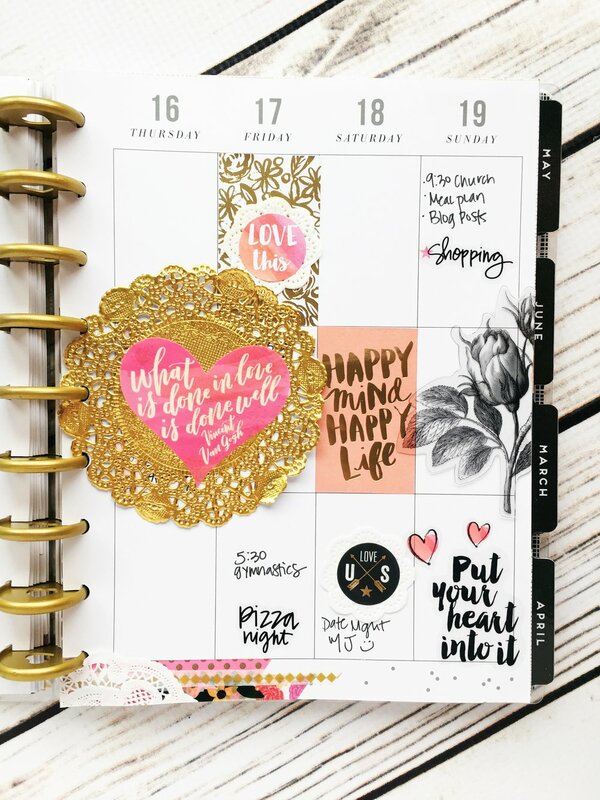 Today we're sharing this fun Happy Planner™ shaker pocket DIY created by mambi Design Team member Tiffany Ross that she added into her Valentine's weekly layout using - of course - the new Happy Planner™ Punch! XOXO! "Have you seen those sequin dashboards & sequin planner pockets all over Instagram? 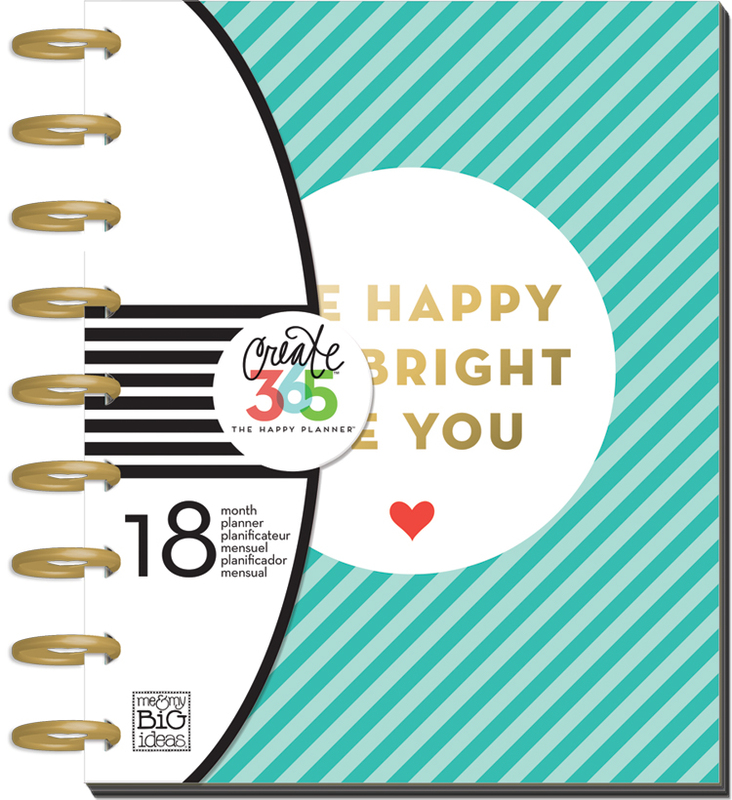 I love them, and I wanted my Happy Planner™ to have one too! I took a full page sheet protector and added some washi tape to the left side to extend it a bit. 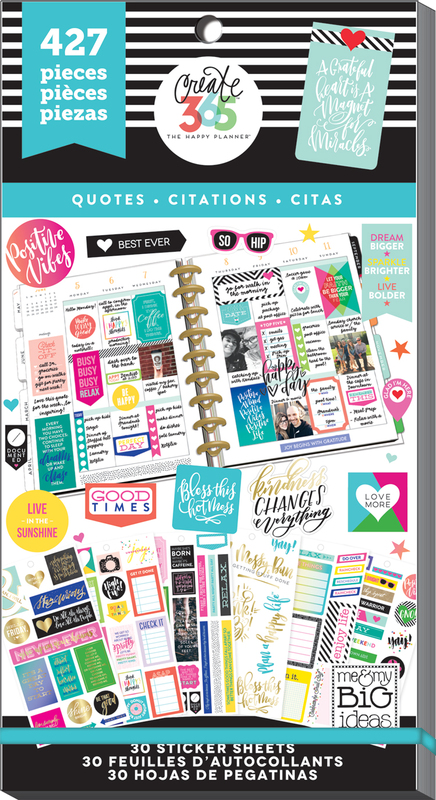 The new Happy Planner ™ Punch is amazing and you’ll definitely need it to customize your planner to your heart’s content. I filled the sheet protector with sequins and added the 'Love Is Enough' mambiSTICKS BIG sticker to give it a Valentine’s feel. Don’t forget to seal the top either by running it through a sewing machine or use a tool to seal the opening. I was then inspired to decorate my weekly layout to match my new sequin pocket. So fun to theme your layouts to a holiday!" Hey hey! We have some GOOD NEWS! 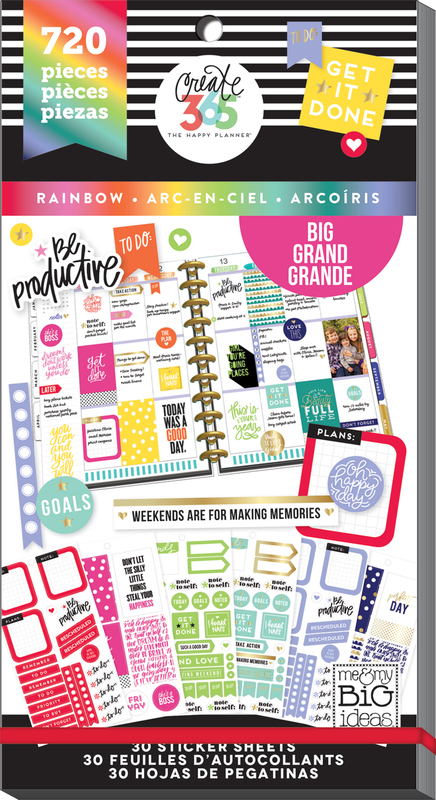 If you're looking for The Happy Planner™ Punch, it is now available online at michaels.com. Customers have purchased using Michael's 40% OFF with code SPRING2716, and with shipping, noted it came out to less than $25. 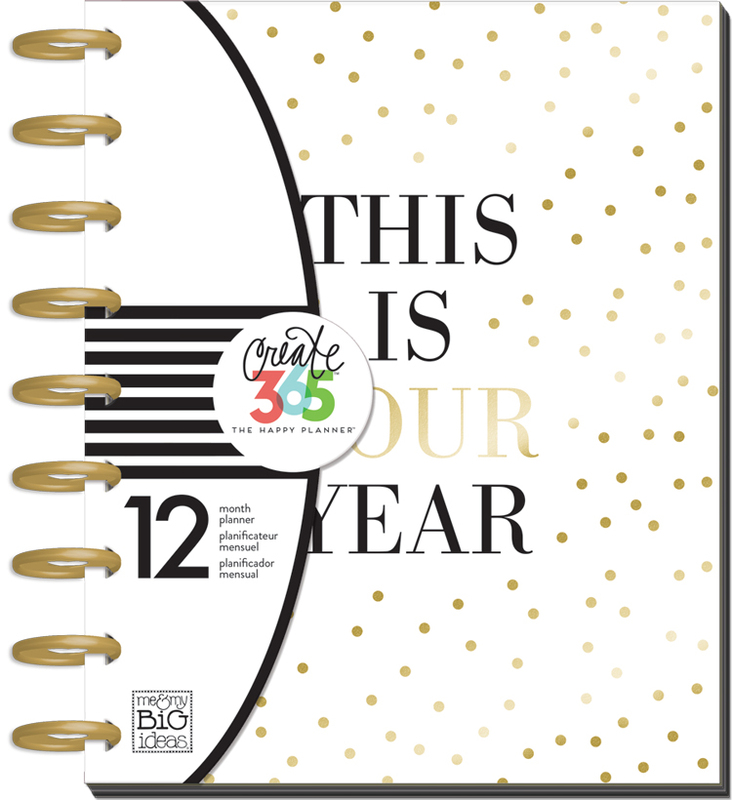 It is also estimated to be back in stock on shop.meandmybigideas.com February 15th. Hearts and Arrows. Red and pink. X's and O's. 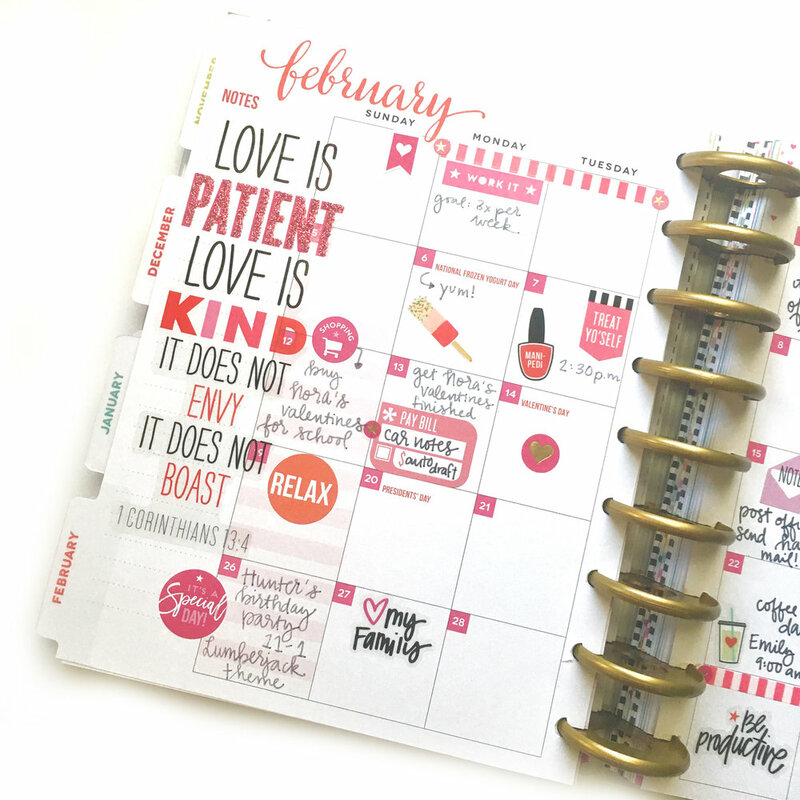 It must mean it's Valentine's Week, and mambi Design Team member Mary-Ann Maldonado has pulled out all the stops for these pages in her Happy Planner™! XOXO! "I feel that love is in the air, don't you? As we creep up on Valentine's Day, my To Do list gets bigger and bigger! Not only because of Vday, but my boy's birthday is two days later! The planning has already begun. As he approaches 11, I feel I have become a pro at party planning. List making has been made easier thanks to my Happy Planner™." "I used Valentine's Day stickers, birthday stickers, puffy items, and die cut items. You name it, it is on here! I know you noticed my washi tape dispenser! True story: I bought it for my mom because she has a cat. She has become like a cat lady, no joke. After looking at it for a while (because it takes me forever to mail things) I decided it looked more like MY cat and would look even better on MY desk with MY Happy Planner™ washi tape in it. Whoops!" Want more Valentine's Day inspiration? Head to our Valentine's Day Gallery Page.